This review originally ran in the Friday October 25th issue of Shelf Awareness for Readers. If you don't already subscribe, sign up here to receive a bi-weekly dose of readerly goodness in your inbox. 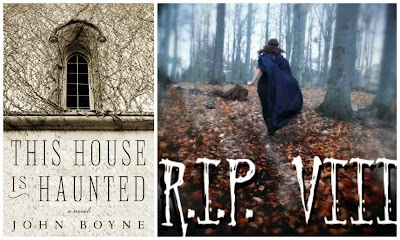 John Boyne's This House Is Haunted is a ghost story steeped in the Dickensian tradition. As Eliza and her father journey through a typically cold, wet night in London to see Charles Dickens read in a nearby pub, he falls ill from the weather and soon dies, leaving her with no parents, no siblings and very little money. Seeking a change, Emma responds to an advertisement for a governess at an estate in the country. But when she arrives at Gaudlin Hall, she is startled to find no adults present; her two new pupils present themselves to her with no explanation. From her first night at Gaudlin, Eliza is haunted by an unseen spirit. As the attacks become more violent, threatening Eliza's life, she sets out to find the secret that lies at the heart of Gaudlin. With The Boy in the Striped Pajamas, Boyne proved his ability to immerse himself in the innocent and naive perspective of a small boy; in wholly embodying Eliza in This House Is Haunted, he further proves his narration skills. This strong voice gives the story an added layer of intrigue, as we are treated not only to a 19th-century ghost story, but also to a heroine coming into herself as a woman and an individual. 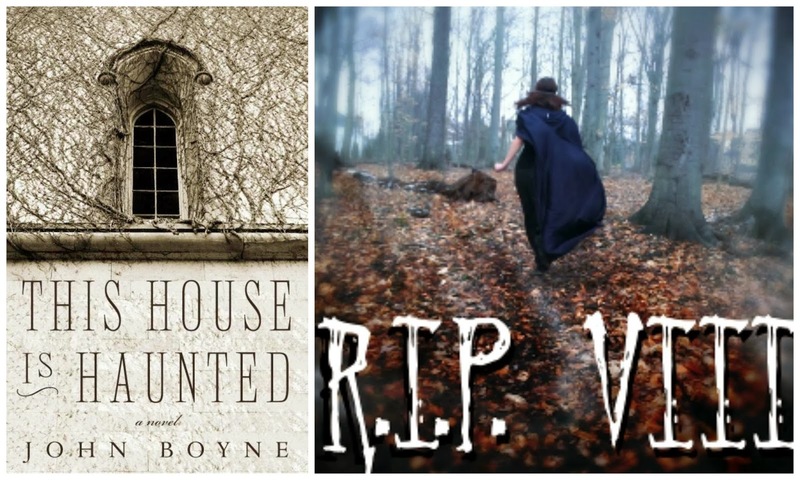 Though those looking for true horror and gore may be disappointed by the subtle buildup, This House Is Haunted is ultimately a compelling story of the supernatural and an ode to the Victorian-era ghost story. I have this one to review and I need to get on it. This one sounds like just the kind of thing that would give me the chills. It's really chilling in a subtle kind of way - I liked it a lot. That sounds like just the right level of creepiness for me. I really like the cover design, too.